Six Flags Great America will spend all of 2015 celebrating the park's 40th anniversary, having opened during the country's bicentennial in 1976. The celebration will not feature any large new rides or attractions, but will carry on throughout the season and feature a host of special events. "In 2015 we plan to celebrate our park's history and how it has grown to one of the premiere amusement parks in the country," said park president, Hank Salemi. "From the American Eagle to Goliath, and Whizzer to X Flight, the skyline of Great America has grown impressively over the last four decades." To help celebrate, two of the park's original themed areas, Carousel Plaza and Hometown Square, will be renovated to bring back a retro feel. Three classic children's ride will also return, fully refurbished to a new generation to enjoy. The park will also hold weekly celebrations to honor each of the park's roller coasters. 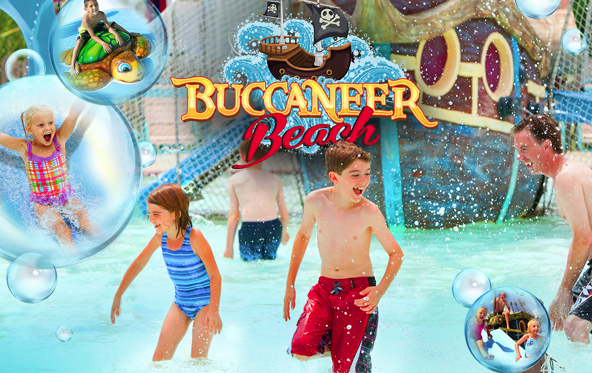 A new children friendly water play area will be built at The Great Escape in 2015, named Buccaneer Beach. The addition will be a full renovation of the park's popular children's area, Noah's Sprayground. "The refreshed and re-themed pirate adventure will feature pop jets, splash pads, children’s slides and water elements offering endless water park fun. The expansion to the upper water park will include new pool deck space and increased shaded water park seating." Located near Six Flags Over Georgia, Six Flags White Water will debut an extreme new slide in 2015, named Dive Bomber. Standing over 100 feet tall, the trap-door release slide features a plummet of nearly 90 degrees at 40 miles per hour. 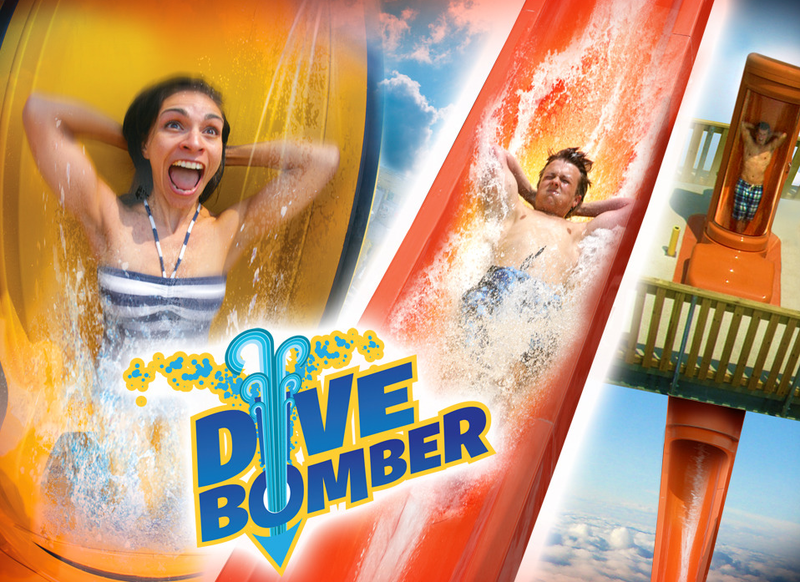 To replace the park's Cliffhanger slide, Dive Bomber will be the tallest attraction ever built at Six Flags White Water. It is not totally clear if this is one slide or multiple, but I'm sure that will be revealed later as construction progresses. Get ready for Halloween all summer long at La Ronde next year. 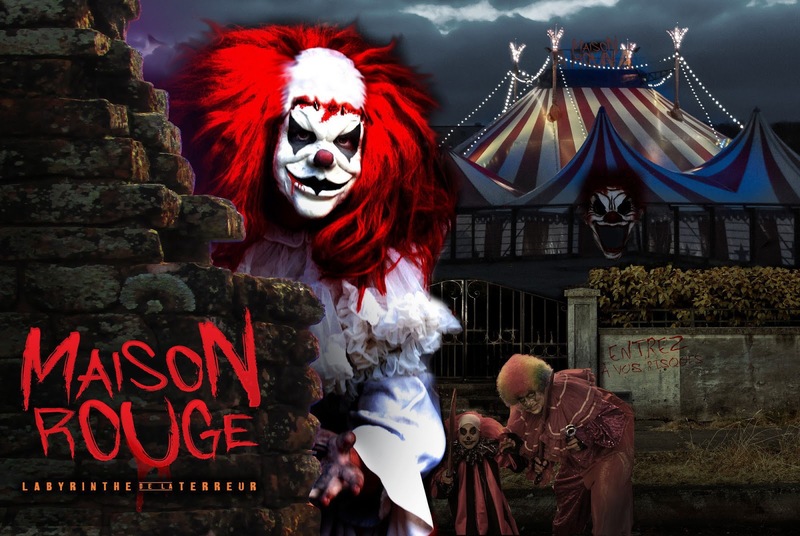 The park's 2015 attraction is Maison Rouge - Labyrinthe de la Terreur - or a straight translation of Red House - Labrynth of Fear. The permanent haunted house features a pretty sick looking clown as its mascot, and appears to be taking place in a large carnival tent. "The carnival has been gone for decades, leaving behind ruins and decay. The house is still standing, but it is in disrepair and haunted by evil spirits. Clowns, once friendly and funny, went crazy and insane. Initially, the house tour is fun, but it ends in blood. Visitors can use different corridors leading to many parts, but soon they realize that this house is a maze of fear and darkness which they must escape." The attraction is being advertised as having different paths you can take to get through, making it have a higher repeat visit value. It will be designed by ACME Scenic Services of Montreal, who have a very impressive resume. 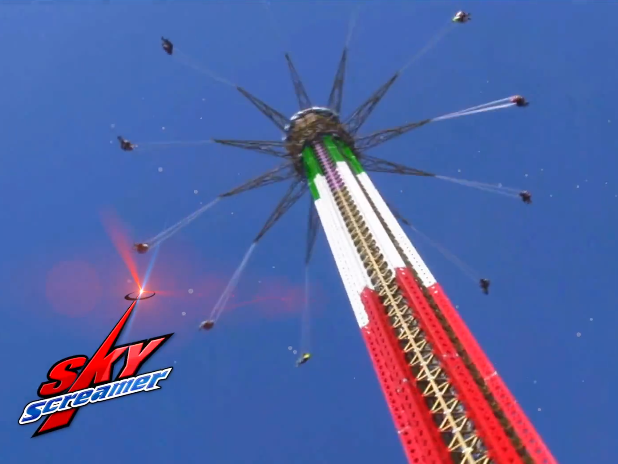 Finally, Six Flags Mexico has announced SkyScreamer, a high in the sky swing ride. Standing 242 feet tall, the ride will feature red, white, and green - the colors of the Mexico flag. Many of the promotional shots of the ride show the beefy tower that was used on the 400 foot versions of the ride, however I think that's just for media purposes. I would expect the tower to be similar to the one at Six Flags Great Adventure, for instance. SkyScreamer, like its counterpart at other Six Flags parks, will spin riders around in a nearly 100 foot circle at 35 miles per hour.